Jamaica is an island in the Caribbean. It is situated south of Cuba and west of La Hispaniola. Jamaica consists of the 3 regions of Cornwall County, Middlesex County and Surrey County, and its biggest cities are Kingston, Montego Bay, Falmouth, Negril and Port Antonio. A selection of 3 star, 4 star and 5 star hotels, guest houses and bed & breakfast accommodation in Jamaica are listed below. Please view our hotel offers page for the latest special offers for a range of hotels in Jamaica. Its tropical weather and fascinating culture make Jamaica a popular holiday destination for tourists. Flights to Jamaica land at either Norman Manley International Airport (KIN) in Kingston or the Donald Sangster International Airport (MBJ) in Montego Bay. Located in central Ocho Rios along the Bay and 5 minutes from Mahogany Beach, this hotel offers a restaurant and free beach access. Apartments feature a private balcony overlooking the island. This adults-only hotel features an on-site spa, tennis courts and an outdoor pool. Guest rooms are spacious with contemporary design and Montego Bay International Airport is a 20 minute drive away. Featuring a private balcony with mountain or ocean views, this Ocho Rios property is 4.3 km from Dunns River Falls. An outdoor pool is available and each apartment includes kitchenette facilities. Offering free yoga classes and an on-site restaurant, this hotel is located in the Hip Strip of Montego Bay, a 5-minute walk from the beach. It features free Wi-Fi. Standing on a 25,000 square-foot private beach overlooking Runaway Bay, this vacation home features personal service from a cook and housekeeper. Free Wi-Fi and a spacious outdoor pool are included. 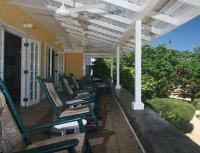 This Montego Bay property is 13.3 km from Aqua Sol Theme Park. The villa provides a private outdoor pool, an on-site chef and brightly colored rooms. 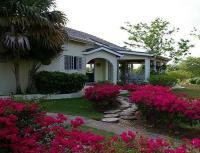 Beautiful gardens surround the villa at Paradise Sea Villa - Runaway Bay. Set in lush tropical gardens on Seven-Mile Beach, this all-inclusive resort features several outdoor swimming pools, a spa and tennis courts. 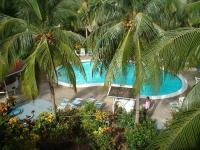 It offers an airport shuttle service and on-site water sports facilities.